Great American Financial Resources, Inc. has partnered with USA TODAY to create Money Matters 101, a series of free lesson plans for educators to use in the classroom. Each of these lessons will be posted online for unlimited use and discussion in the classroom. Based on actual articles from USA TODAY, lesson topics include saving for now and for later, being prepared for a financial crisis, using credit cards, protecting yourself from online scams and much more. The lessons will enable educators to use real-world examples to help teach students about finances and planning. Who should apply for college aid? Credit card rates headed for federal slapdown? Weigh before you pay: Debit or credit? 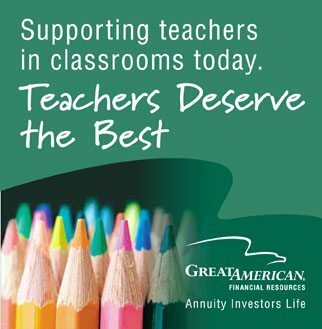 For more than 30 years, Great American Financial Resources, Inc. subsidiaries have provided retirement plan solutions to educational institutions, offering quality annuity products, first-class service and ongoing education for participants. Our companies have some of the most solid investments in the insurance industry today. By limiting our investment risk, we maximize the security of your retirement. Because of today’s ever-changing marketplace and our dedication to wise financial planning and investing, we are committed to educating young people on smart financial decision making.